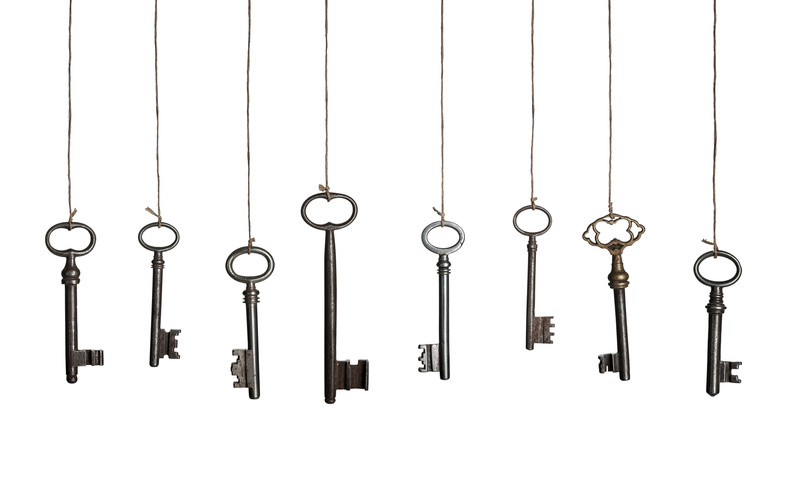 Key: a piece of information that determines the functional output of a cryptographic algorithm. Hold up well under serious attack, even when part of their initial or running state becomes available to an attacker. MAC: is a short piece of information used to confirm that the message came from the stated sender (its authenticity) and has not been changed in transit (its integrity). It accepts as input a secret key and an arbitrary-length message to be authenticated, and outputs a MAC. Some libraries out there implement cryptography primitives and operations, and leave a lot of decisions to the developer. Examples of those are php’s own crypto library, or Defuse’s php-encryption. Some PHP frameworks implement their own crypto like Zend Framework’s zend-crypt or Laravel. Nevertheless, there is one library that stands out from the rest for its simplicity and takes a lot of responsibility from the developer on the best practices, in addition to using the libsodium library. In this article we are going to explore Halite. You will have to edit your php.ini file to include the extension=libsodium.so line and restart your web server or php-fpm. To showcase some of Halite’s basic features, let’s create a set of RESTful services for a simple “e-mail like” messaging application, where we want to encrypt messages sent between users. Please take into consideration that this will be just a tiny and simple example, a lot of standard email features will be missing. Should you like to browse the full source code, please take a look at the github repo. Let’s begin by initializing a composer.json file, and then declaring the dependency of our project on the Halite library using Composer. For this example, I’ll be using silex for routing requests into an MVC style application, phpdotenv to store and load environment variables and doctrine orm to interact with the database using php objects. The Acme namespace will hold our custom classes. For this application, we desire to encrypt the subject and the message, so the urls in bold are the ones that use Halite’s features. For this article, we will be using symmetric encryption. That is, we use the same key to encrypt and decrypt a message. The sample project uses Silex and Doctrine to do some heavy lifting, however, it is not the scope of this article to show how they work. For that, please see this intro to Silex and some of our Doctrine posts. Roughly speaking, Silex will forward HTTP requests to a controller. The controller will invoke a service, where things begin to get interesting. Let’s look at the code from the \Acme\Service\Message::save method. * create a placeholder for data, in order to generate a message id, used later to encrypt data. * encrypted, the message unique id, and a system wide salt. First, an object representing a record from the messages table is created to be used with Doctrine. This will make it easier to write data to the database. This object has attributes that are mapped 1:1 to the messages table. Next, a Doctrine repository is created for the users table. The repository is used to easily retrieve data into model objects. The ease of retrieving data is shown with the statements $userRepository->find($from) and $userRepository->find($to) all without writing a single SQL command. The resulting models are then assigned to our message model, and then persisted to the database using Doctrine’s entity manager via the $this->em->persist($messageModel); and $this->em->flush(); statements. This is done so the primary key created for this record can be retrieved and used later on to encrypt the data. For more information about the dual nature of persist/flush, see this post. We need to retrieve both the sender’s and recipient’s salt to be used to encrypt the message. As you may have already guessed, this is done easily via the models loaded above with the $toUserSalt = $toUserModel->getSalt(); and $fromUserSalt = $fromUserModel->getSalt();. This salt is a 16 byte (as per requirements of argon2 algorithm used in Halite’s key derivation function) random binary string. This string can be generated with base64_encode(random_bytes(16)). For this approach to be secure, the application server and the database server should be on separate hardware. If both servers are on the same machine, and if an attacker gets access to it, they would have everything they need to decrypt the information. Another approach would be to encrypt the application’s salt using a key that would be provided at service boot time and/or persisted in memory. As long as this key is not intercepted, an attacker would have no way of decrypting anything even if both the web server and the database server are on the same hardware. The first parameter of \ParagonIE\Halite\Symmetric\Crypto::encrypt is the plain text, the second parameter is the encryption key derived above. The third parameter will tell Halite to return the raw binary string. The default behavior is to return a hex encoded representation. This, of course, depends on your preference. At the moment we have encrypted a message, so at first glance it won’t be known what the contents are. Halite already makes transparent the fact that it will add an authentication code to the cypher text in order to make sure that the contents of the message have not been tampered with. It will also use a different initialization vector to make sure that the same plain text encrypted with the same key will produce a different cypher text. Now we are ready to assign the cypher text to our model (base64 encoding them first) $messageModel->setSubject(base64_encode($cipherSubject))->setMessage(base64_encode($cipherMessage)); to be able to persist it to our database. Notice that while the plain text is actually the same in both messages, in the database they appear to be completely different, so even if an attacker had access to the database directly, without the encryption key they would not even be able to tell the messages are related, let alone identical, or find out their contents. Now it is decryption time! You can take a look at the full source code here. 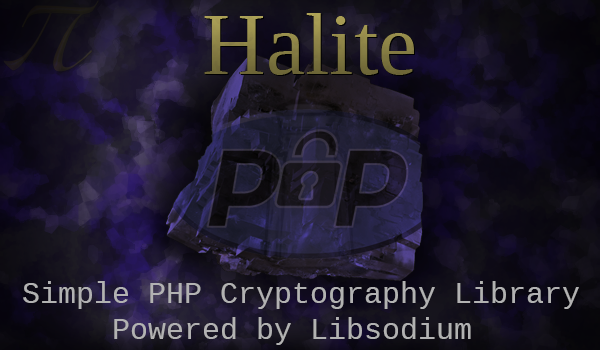 Encrypting and decrypting is dead simple with Halite. This does not mean that the above example is super secure. There is still a lot of potential for improvement, and Halite has other interesting features which might be showcased in a later article. Remember not to take the above implementation as production ready – it’s only for educational purposes. How do you do encryption / decryption in PHP? Have you used Halite? Let us know!